ServiceMaster Ltd offers a variety of UK franchise opportunities to potential business owners. We pride ourselves on having a value system that is rare in the business world. We promote ideals of integrity, responsibility, cooperation and mutual respect and we have established strong relationships of trust with our franchise owners, their customers and employees. These objectives are not prescriptive in any way in terms of faith or the lack of it, rather they encompass the spirit and essence of our credo and are fundamental to the way we conduct ourselves and our business. Our business is based on a strong foundation which has driven the success of our company, and our franchisees. 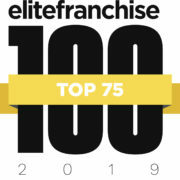 We treat our franchise owners with respect and understand that their success is also our success. ServiceMaster Ltd in the UK comprises ServiceMaster Clean, Furniture Medic, TruGreen and Merry Maids and has been established since 1959. To find out more about owning and operating a ServiceMaster franchise in the UK, simply select the ServiceMaster brand you are interested in.